Open House Details: Please visit on-site representative at 286 S Singletree St.
Gabriel Homes Award Winning Makenna 2-Story! 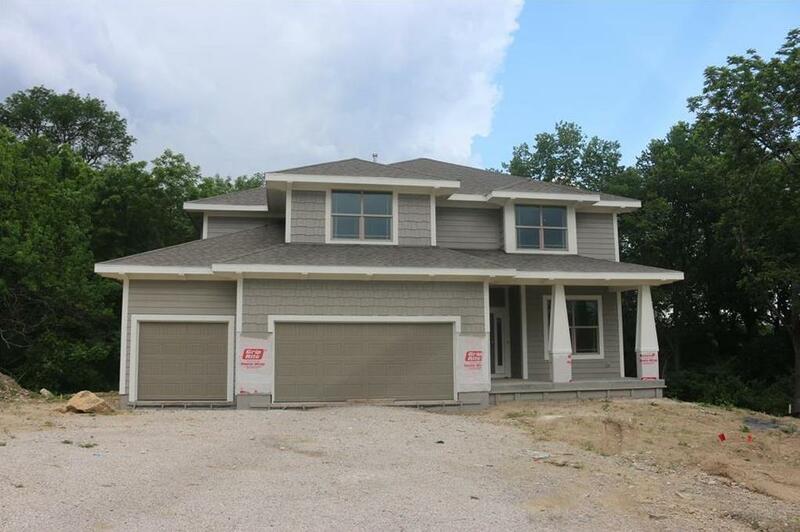 This amazing home is located in The Enclave at Prairie Farms! 17 Estate Lots nestled in Mature Trees! On TREED LOT, backing to acres of green space! Homes currently behind this home have been purchased by City and will be removed. With an Impressive Custom Designed Kitchen, Terrific Home Office, Amazing Master Suite with Luxury Master Bath, and Spacious Bedrooms throughout you WILL LOVE this home! Pictures are of PREVIOUS HOME. Trim Stage 4/3/2019, Est Comp 6/30/19. 333 S Overlook Street (MLS #2142717) is a traditional single family home located in Olathe, KS. This single family home is 2,644 sqft and on a lot of 13,068 sqft (or 0.30 acres) with 4 bedrooms and 3.5 baths. This property was listed on 01/01/2019 and has been priced for sale at $465,950. Listing Last updated 04/18/2019 11:15 PM CDT . Some properties which appear for sale on this web site may subsequently have sold or may no longer be available. Walk Score provided by Walk Score. Mapping data provided by Google and Bing.